Peggy Goodnough was born in Bennington, Kansas, on 30th December, 1889. The daughter of Edwy Goodnough and Minnie Goodnough, was brought up on a farm. At the age of sixteen she found work as a typesetter for the Junction City Sentinel in Kansas. Later she became a reporter for the El Paso Heraldand the El Paso Times where she covered the American army's attempts to end the cross-border raids into Texas by Pancho Villa and his band of Mexican revolutionaries. On the outbreak of the First World War Peggy volunteered to report the war from the Western Front but initially the editor rejected the idea because she was a woman. However, he changed his mind and in June 1917 she was sent to visit the US Army training camps in France. Her articles were very popular and some were published in the Chicago Tribune. In 1917 jealous male reporters complained to the authorities that Peggy was not a properly accredited war correspondent. Peggy was now forced to return to the United States in an attempt to obtain the necessary permission to work on the front-line. 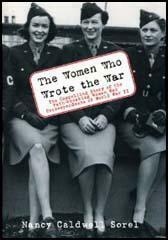 The War Department in Washington was strongly opposed to allowing a woman to report the war. Permission was therefore not granted until 14th October 1918, just a few weeks before the armistice. Peggy now became America's first woman to become officially accredited as a war correspondent. However, Peggy knew that by the time she reached France the war would be over. Determined to see military action, Peggy, now working for the Cleveland Press, decided to visit Siberia to report the role being played by American troops in the Civil War that followed the Russian Revolution. After leaving Russia Peggy moved to China and worked for newspapers in Shanghai and reported on the invasion by Japan for the New York Daily News. War Correspondent's Pass in October 1918. Peggy's first two marriages to George Hull (1910) and John Kinley (1922) ended in divorce. In 1933 she married her third husband, Harvey Deuell. In 1939 Peggy was a founding member of the Overseas Press Club. Peggy had difficulties obtaining permission to report on the Second World War. It was not until the end of 1943 that she was eventually given the necessary papers to cover the Pacific War. Working now for the North American Newspaper Alliance and the Cleveland Plain Dealer, Peggy was confined to military bases and hospitals in Hawaii until January 1945. Even then, she was only allowed to visit islands that were now under the control of the US Army. 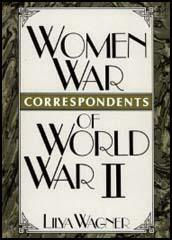 Peggy wrote about the problems that women faced while trying to report the war. "I am a woman and as a woman am not permitted to experience the hazards of real war reporting." However, her human interest stories of the war had a tremendous impact on her readers. One soldier wrote to her during the war claiming: "You will never realize what those yarns of yours did to this gang. You made them know they weren't forgotten." In 1953 Peggy, now a widow, retired to Carmel Valley, California. Peggy Deuell died of breast cancer on 19th June, 1967.